One additional perk of Andy the Android Emulator is the power that gives you to control the emulator on the desktop with its official app on your smartphone. This feature really comes in handy when you have to play games that utilize the touch screen of phones. It is also useful when controlling the overall emulator from a remote place; as long as you are connected to the same Wi-Fi network. 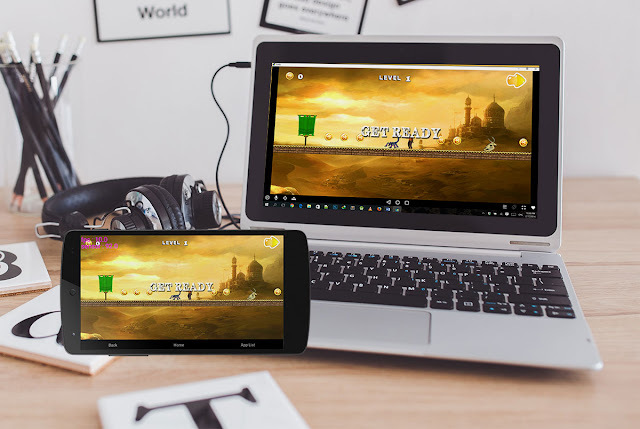 To control Andy the Android Emulator on your desktop or laptop with a smartphone as a remote control, all you need to do is install their official application. The application is titled Andy Remote Control and it is available to be downloaded for free from the Play Store. Download and install it on your device. Once installed, run the app. At first, you will have to verify the connection. That means, Andy has to know that the commands that it is receiving are coming from an authorized source. So, the first thing you see on your app is a screen to choose your computer. You can input the IP address manually but your computer is most likely listed already. Tap on it and the desktop application will respond by providing an authorization code. Input that code in the phone and you have successfully connected the app and the emulated Android. Now, what happens is that the application mirrors the Andy screen on your smartphone. When you tap or press on your smartphone, the Windows app detects it and responds to it. So, you can do everything with your phone. Just tap, drag and browse. There are three text buttons that you will see in your smartphone—home, back and app list. They are absolutely necessary for navigation. In most cases, you will find that the desktop installation of Andy will respond faster than the screen being mirrored in your phone. So, the effect of the few microseconds of lag won’t impact your gaming, for example. Another thing that you will notice is that the on-screen keyboard won’t show up on your phone when inputting texts. You will have to switch back to your computer’s keyboard for it. Enjoy gaming or using Android applications on your desktop computer by using your smartphone as a remote control. Think of it as: Your desktop is the big screen for games and apps, and your smartphone is the remote controller. Your computer is also the source for visual as well as the audio feedback. It is always fun to enjoy Android Applications and games on a bigger screen for once.